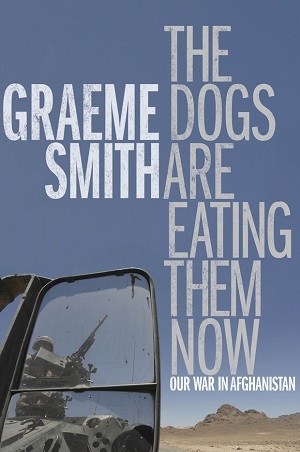 Added my review of Graeme Smith’s The Dogs Are Eating Them Now over at Good Reports. The reality check is that Afghanistan has become a violent place where politics is intensely local and government thoroughly corrupt. The seemingly endless fighting (which has gone on for decades now) has had the effect of creating a moral callousness and “life is cheap” attitude. There are many examples provided of this casual morbidity. The book’s title comes from an incident Smith witnessed where Canadian forces used Taliban corpses as bait to draw out insurgents, but instead had to watch the bodies eaten by wild dogs. Elsewhere we visit a morgue overflowing with so many corpses the staff can no longer document them, see anonymous body parts stuck to the side of armoured vehicles after a bomb blast, and meet an Afghan governor staring “with mild disappointment” at gruesome carnage left after a Taliban attack (he had expected more bodies). “Death does not inspire the kind of seriousness in Kandahar that it does in rich countries,” Smith concludes. And what a world of tragedy is in those words.